On November 2nd, 2009 at 1:50 am Greenwich mean time (7:50 pm on November 1st in Sherbrooke), the PROBA-2 satellite began its two-year space journey to accomplish its dual mission of scientific discovery and technology demonstration. Launched from the Plesetsk Cosmodrome in Russia, the 130 kg satellite was successfully placed on its sunsynchronous orbit at an altitude of 700 km. PROBA-2, which is the size of a large television and consumes the energy equivalent to a 60 Watt bulb, has four scientific experiments on board (two in the field of space weather and two for sun observation) as well as 17 technological innovations that will be validated in orbit. Involved in the project since 2004, Sherbrooke-based NGC Aerospace participated in the design and implementation of PROBA-2 by providing the software that controls the attitude and orbit of the satellite in accordance with the requirements of the scientific mission. Thus, it is the computer software designed by NGC which orients the spacecraft so its cameras and scientific instruments can acquire their data with the accuracy and the stability required by the mission scientists. In addition, thanks to its participation in the project, NGC will have the opportunity to validate in orbit, in the context of a real space mission, up to six different technological innovations, ranging from the measurement of the satellite temperature to determine its position above the ground to using the Earth’s magnetic field to orient the spacecraft in the desired direction. PROBA-2 is the second satellite in a series of mini-satellites mandated by the European Space Agency (ESA), PROBA-1 having been launched on October 22, 2001. Dedicated to Earth observation and the analysis of climate changes, PROBA-1 is still successfully operating after eight years in orbit even though its original mission foresaw a two-year lifetime. With PROBA-1, NGC Aerospace made a quantum leap in aerospace technology by integrating for the first time on-board intelligence and autonomy in the operation of Earth observation satellites, thereby increasing the reliability and the efficiency of the satellites while reducing their operating costs. 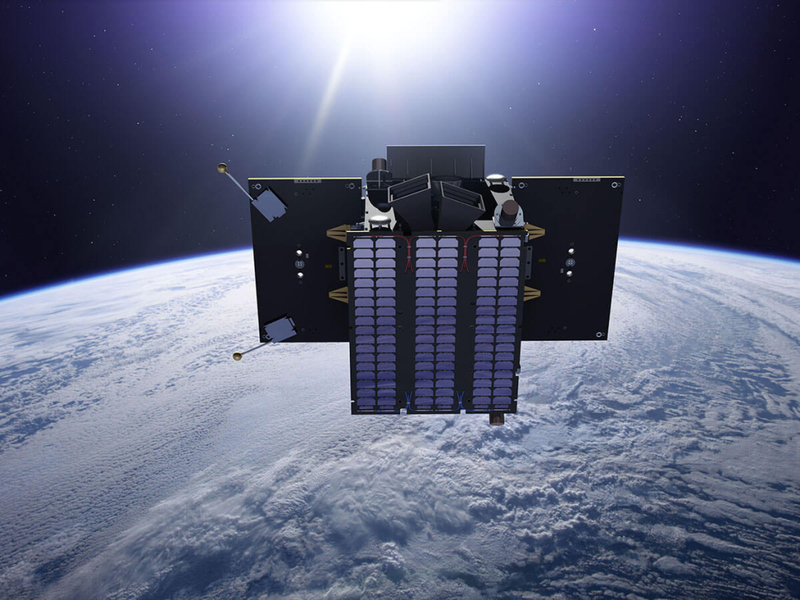 PROBA-2 possesses an enhanced version of the innovative PROBA-1 algorithms, adapted to the constraints of a scientific mission. The PROBA satellites are part of the ESA technology demonstration program. The objective of this program, funded by the ESA member countries and Canada, is to validate in the operational conditions of a space mission the new technologies that will eventually be used on future missions. Due to the high risk associated with new technology, in-orbit validation is the final step in the development process of technological innovations. One of the technological innovations developed by NGC Aerospace for PROBA-2 was financially supported by the Canadian Space Agency. NGC Press Release: “Launch of the PROBA-2 satellite: Another success for NGC Aerospace” (download, pdf). Canadian Space Agency Press Release: “Successful Launch of Canadian Technology On European Space Agency SMOS/Proba-2 Satellites” (read). You will find more information on NGC participation in page Mission Programs of NGC website. For more information on PROBA-2, see “About PROBA-2” on ESA website.